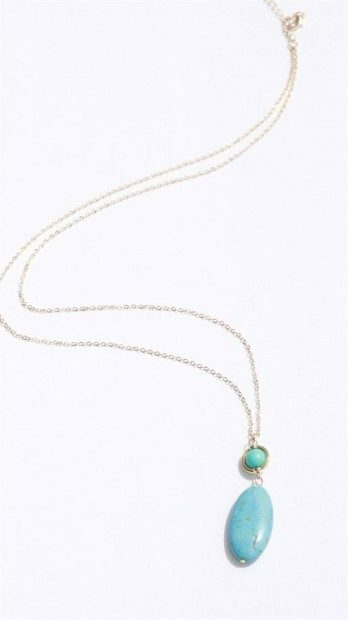 Turquoise Layer Necklace Only $6.99 At Jane! You are here: Home / Great Deals / Turquoise Layer Necklace Only $6.99 At Jane! Keep your wardrobes simple and dress up with this adorable turquoise necklace. Two turquoise stones, one inlayed in a gold bezel, the other threaded with wire. A fun way to make any outfit work from day to night. This Turquoise Layer Necklace is Only $6.99 At Jane!